Do you feel like a combination of different activities while you are in the bush? BelAfrique has found a very unique place that is one of the very few 5 star lodges in South Africa to offer Kariba-like water based safari activities, both motorized and canoeing. 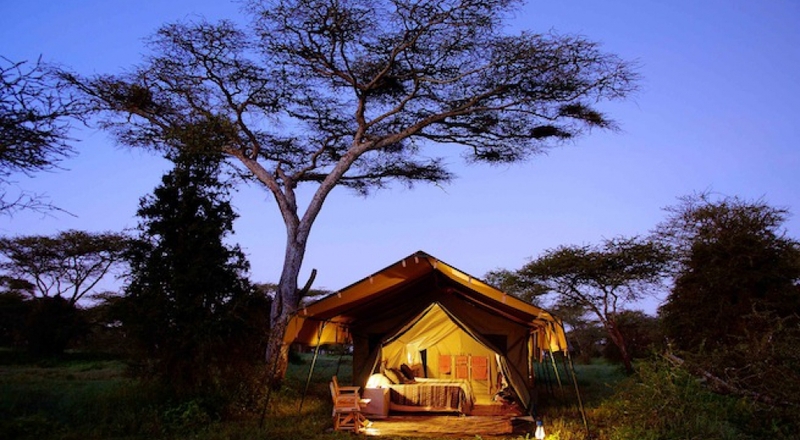 You can do the more conventional safari activities like game drives and bush walks. Birding possibilities are sublime and they even have a ‘secret hide’ close to the lodge that offers the perfect setting for photographers and birders. Or you could indulge in a bit of “Elephanting”, or rather an elephant research safari. This place also offers a superb Black Rhino Tracking Experience with an excellent chance of viewing Black Rhino on foot. You could try your hand at fishing and try to catch a Tiger Fish or two. 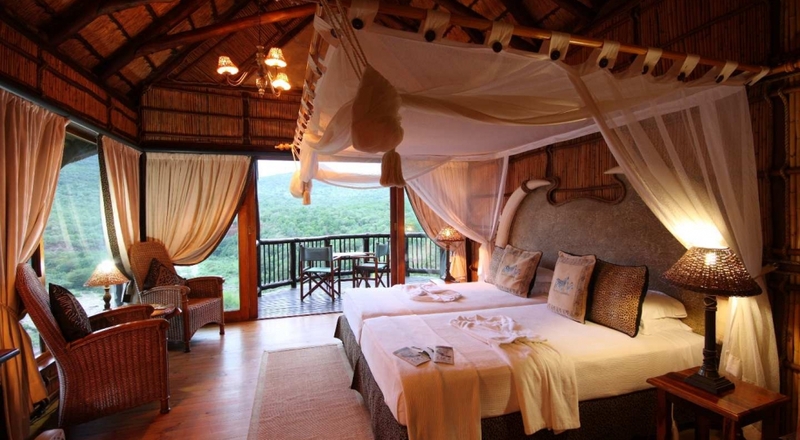 The Safari Lodge captures the history and romance of a bygone era. The deep verandah, sweeping views and tranquil setting provide the venue for a unique African experience. Eight luxurious safari tents, each with romantic ball and claw bath, outdoor canvas shower and private veranda provide an evocative safari in the Pongola Game Reserve Wilderness. Otherwise, the Bush Camp is an ideal self catering escape from the busy, hurried world for families and friends. Seven spacious thatched en-suite chalets with quality linen and overhead fans, open plan kitchen, dining room, bar and swimming pool with spectacular views ensure a “close to nature” relaxed ambiance. 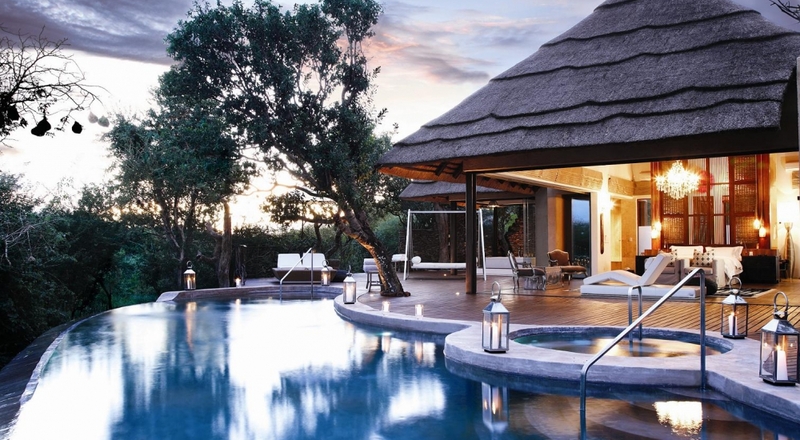 Given its unique setting, the number of activities on offer and the quality of the accommodation, this place is a very special South African safari offering.